Buying microscope accessories has gotten a great deal easier in the last few years, but there are a few caveats people still fall into. Many times a person will wait for a package to come in the mail only to find out the parts they ordered don’t fit the microscope they own. This is an especially big problem when a project deadline is rearing its ugly head, but fortunately it’s easy to prevent these headaches by double-checking the existing scope. Many eyepieces are interchangeable as far as size goes, but some owners neglect to make sure that the magnification of their replacement eyepiece is the same as the original one. While few people might give it much thought, the eyepiece provides magnification in additional to the actual objective lenses. Many stock eyepieces provide a magnification power of 10, so it can be very disappointing to try out one with too much or too little power. It’s equally possible to end up with objective lenses that come in the wrong power. This generally comes when people buy them together in a set and neglect to check whether the three or four objective lenses they’re receiving are equivalent to the ones being replaced. Even if they’re the right physical size to fit into the revolving nosepiece mount on the scope they might not be the right optical size. It’s important to check whether the lenses are apochromatic or more common achromatic lenses. Generally speaking apochromatic lenses correct spherical and chromatic aberration than regular lenses do. 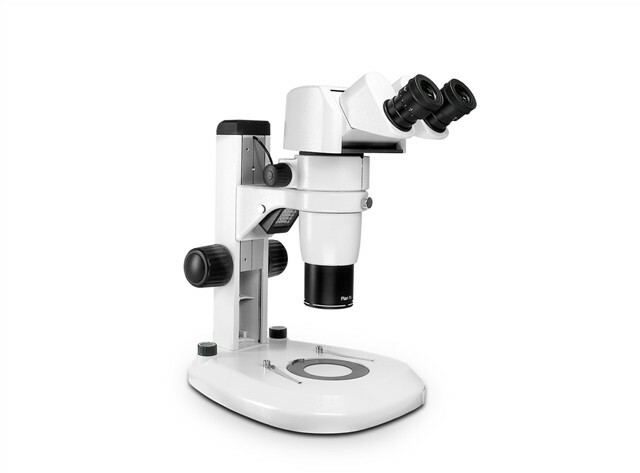 Microscopes that fit apochromatic objectives are often calibrated a certain way to take advantage of the optical configuration made by the magnification power of the eyepiece and the objectives. 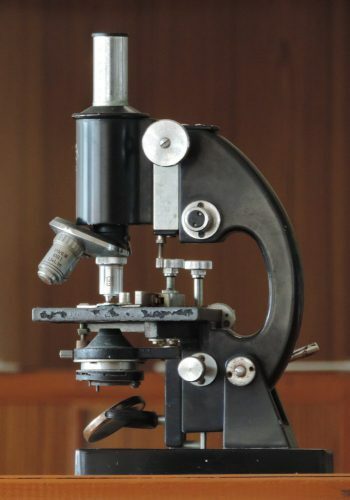 When knobs or even the frame needs to be replaced it’s helpful to know the actual catalog number of the microscope in question. This number is generally printed on a label on the bottom of the base of desktop models. Larger precision models might come with a plate on the side that gives some information about the manufacturer. Sometimes it’s not possible to find the number, so it might help to check out a catalog from Scienscope International. It might be possible to match the model based on design, especially if at least some of the numerals have been made out. When the new accessories arrive make sure to record their vitals. It might prevent some headaches the next time replacements have to be ordered.